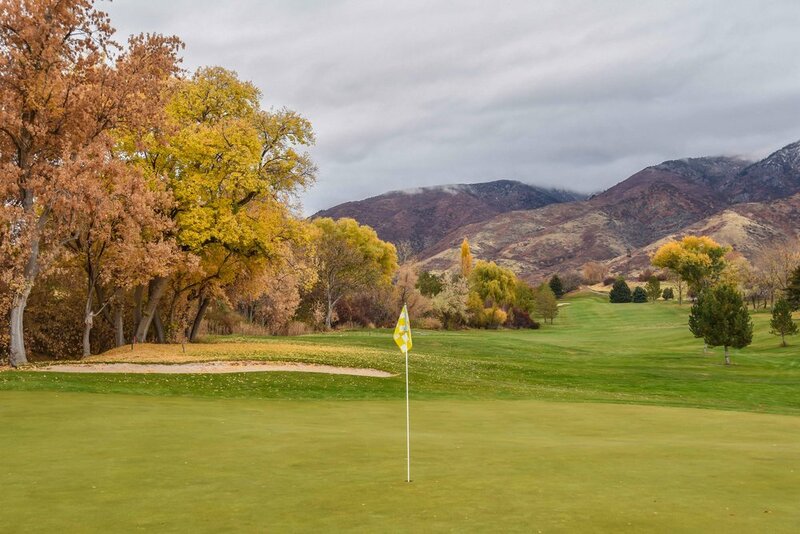 Utah — PJKoenig Golf Photography PJKoenig Golf Photography - Golf Photos For Those Who Love The Game. 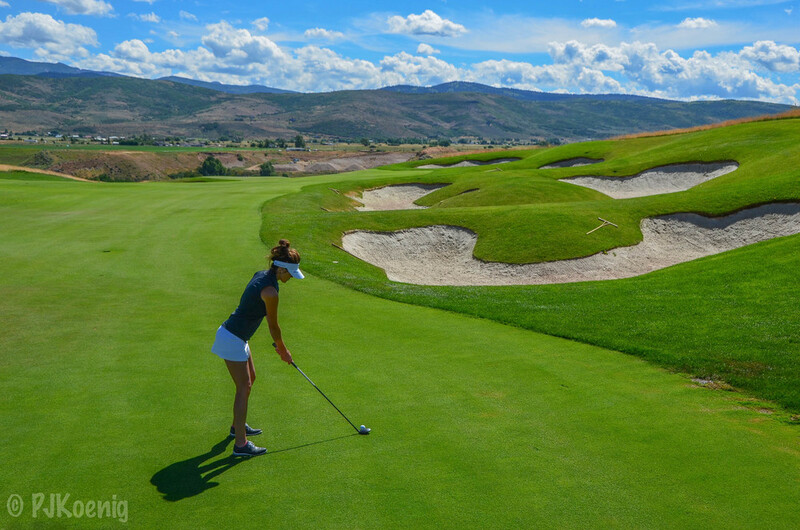 I was lucky enough to tee it up at Bountiful with Sarah Moodie and Ashley Bradshaw. 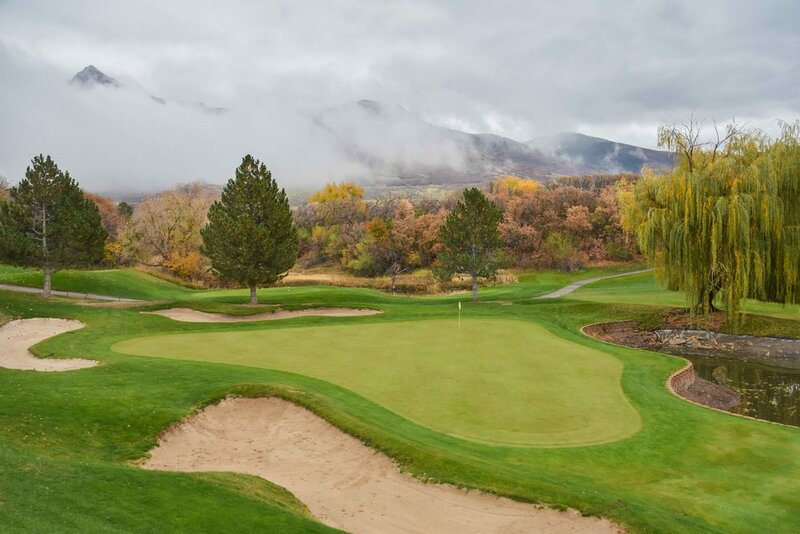 However, the weather turned foul for a brief stint and they abandoned me in the rain. 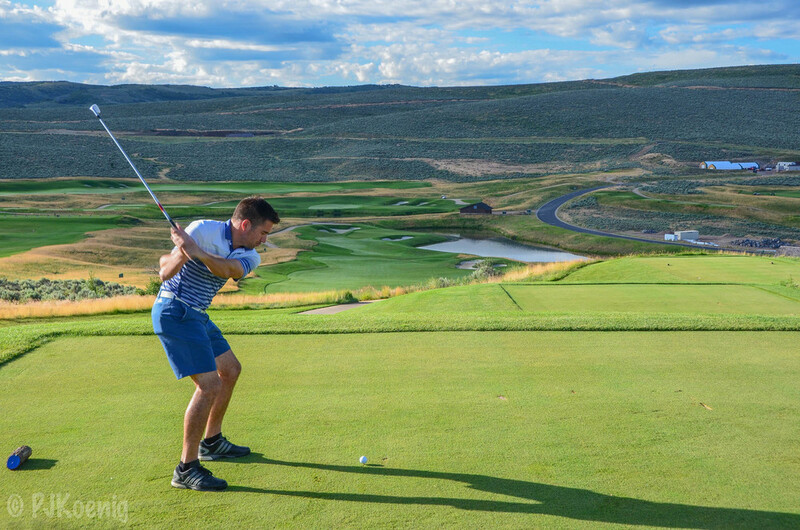 I trudged on determined to find some birdies, instead I found a new pal in mini tour player, Carson Niederhauser, a new father and a bomber of the golf ball. 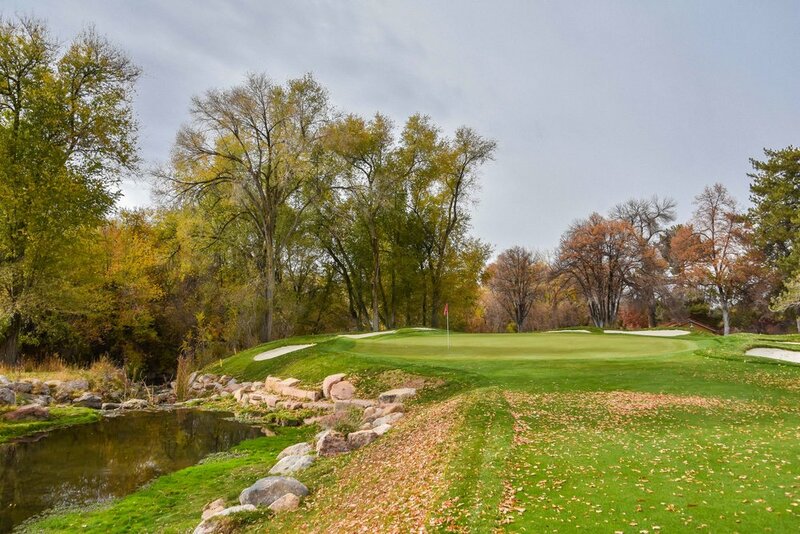 As luck would have it, we found the sun at the turn and I finally found my first birdie of the day on the last hole of the day for a fresh 73. 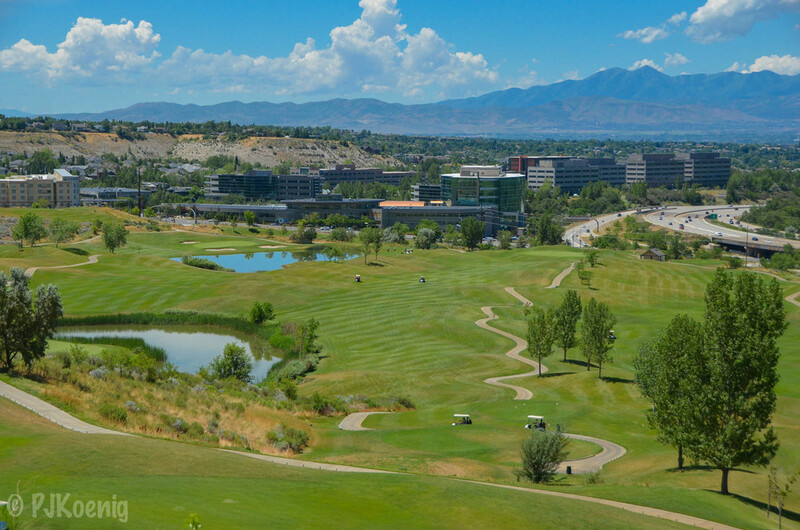 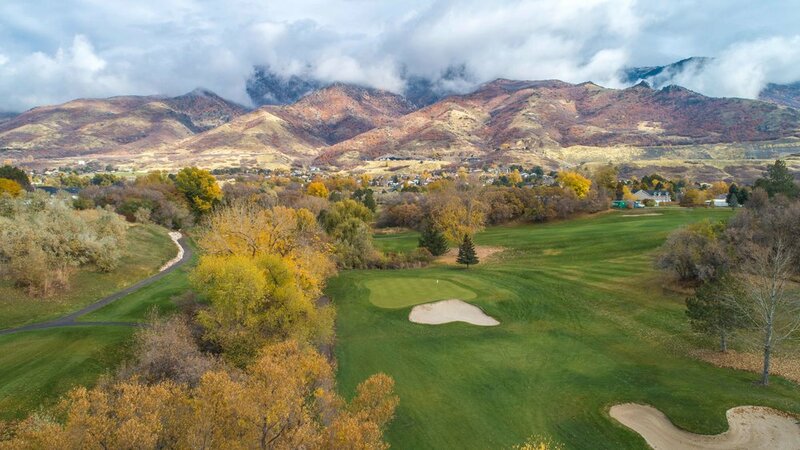 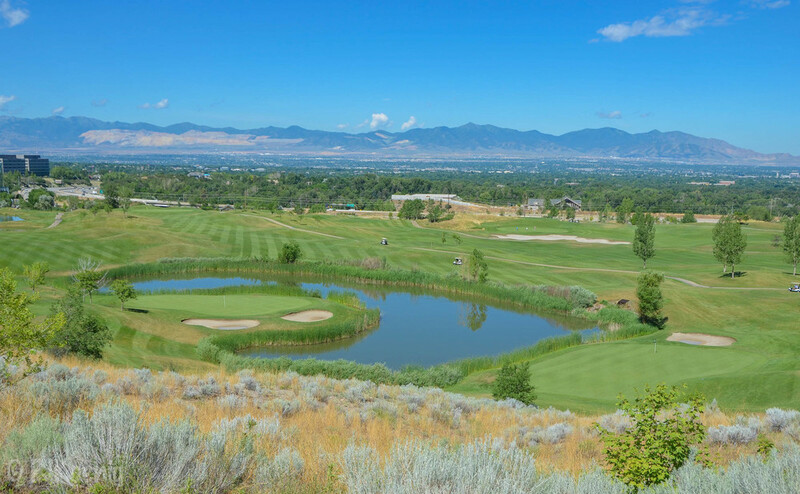 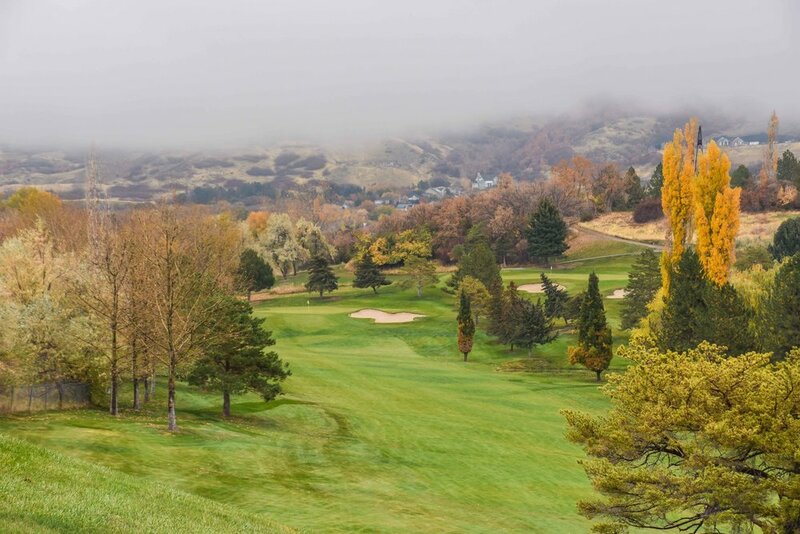 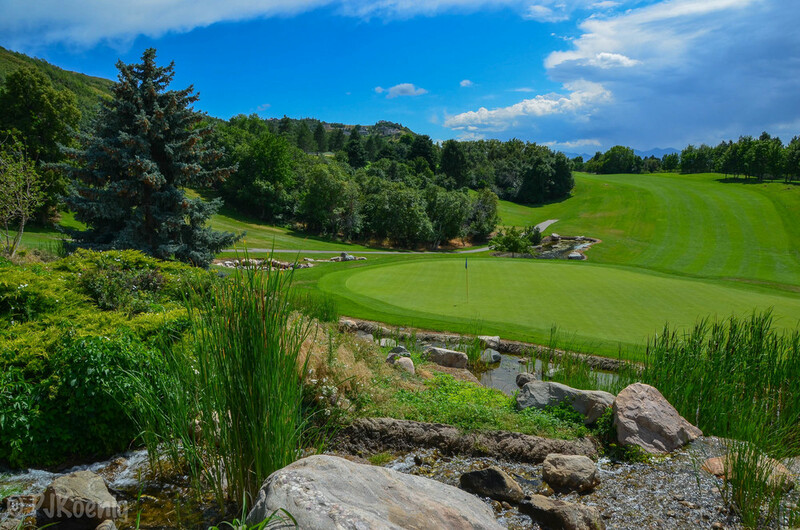 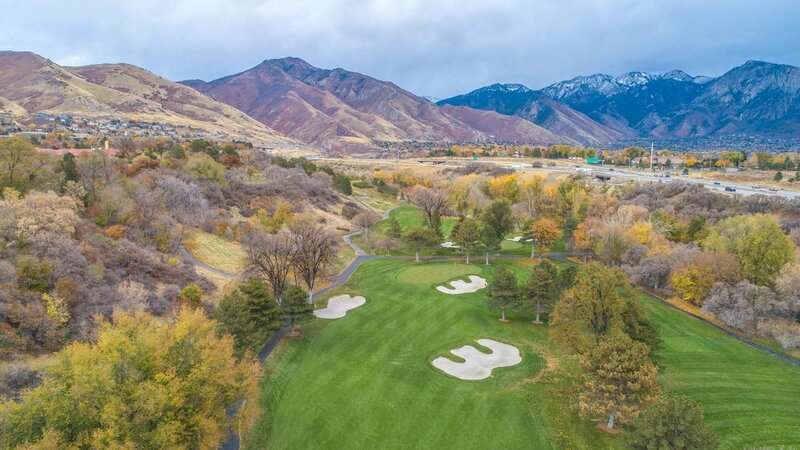 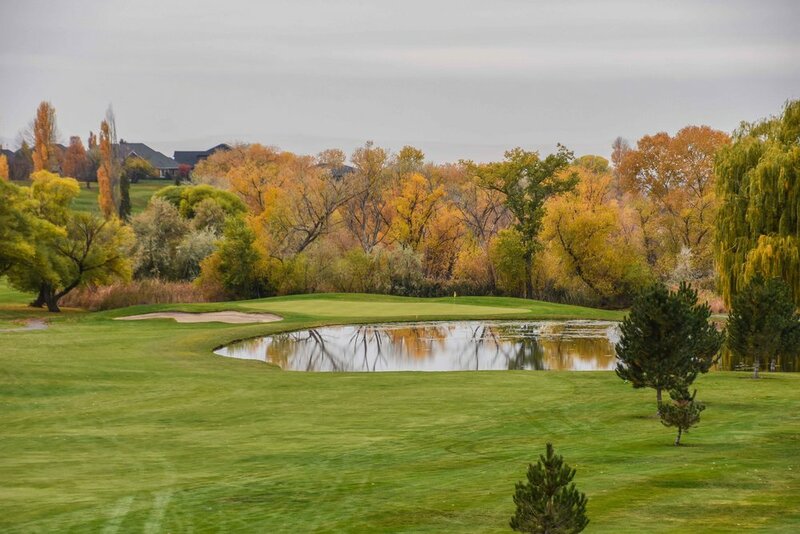 Bountiful is one of the finer public options in the Salt Lake City area and the 18th hole stands out as a signature finishing hole that gives the player a good chance to finish in style. 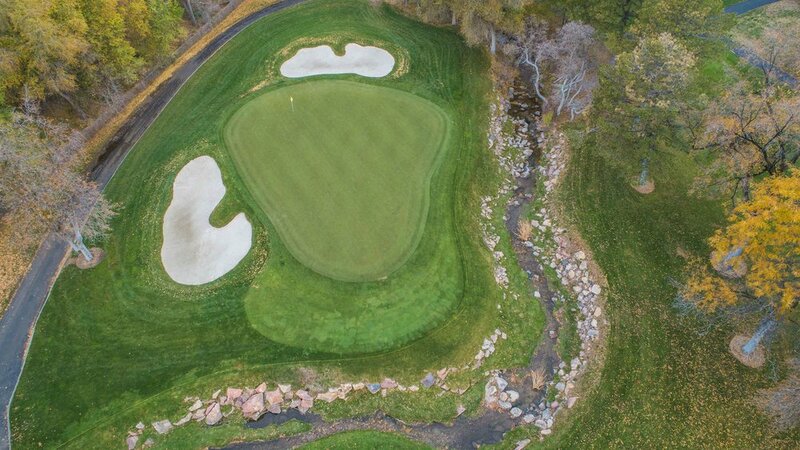 Pretty sweet lie huh? 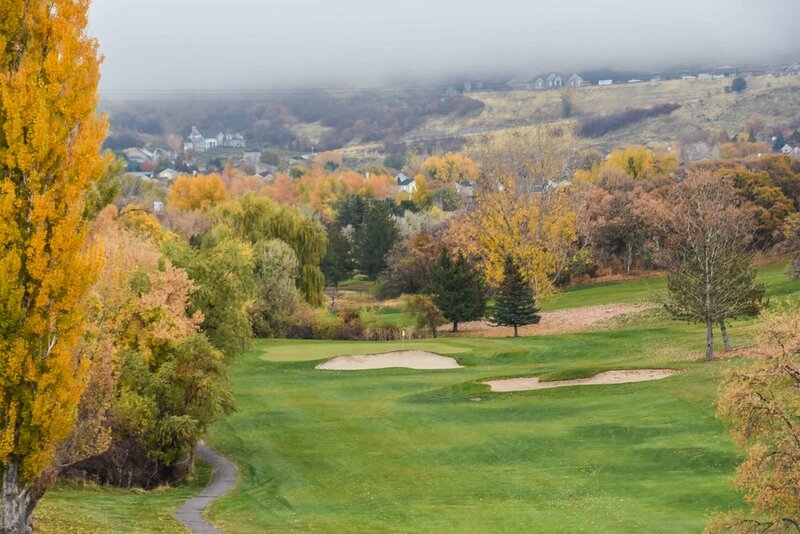 That was my 2nd shot of the day, my 3rd shot looked pretty much the same as I just ended up driving the ball further into the lip. 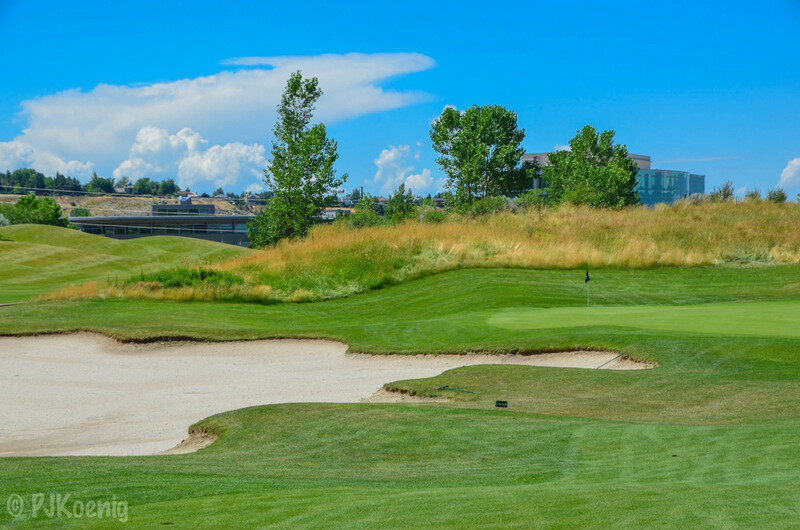 I finally hacked out on #4 and got up and down from 180 yards to card a feel good bogey on the opening par 5. 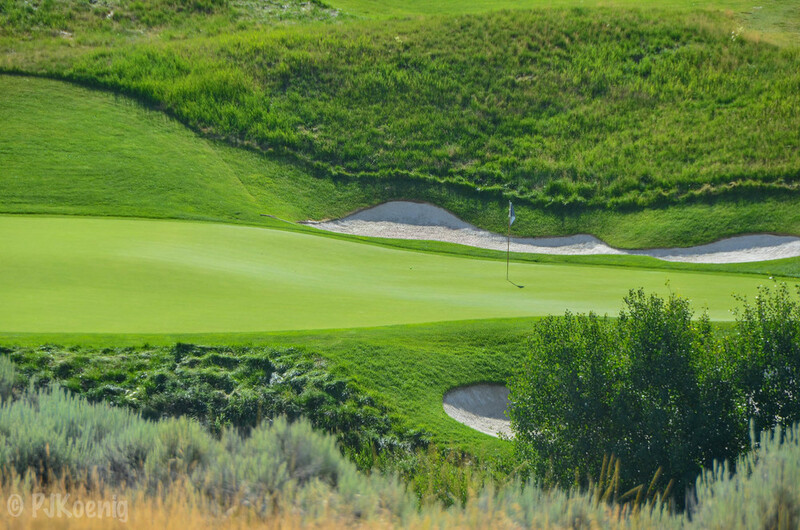 The feel good bogie is probably one of my favorite scores in golf. 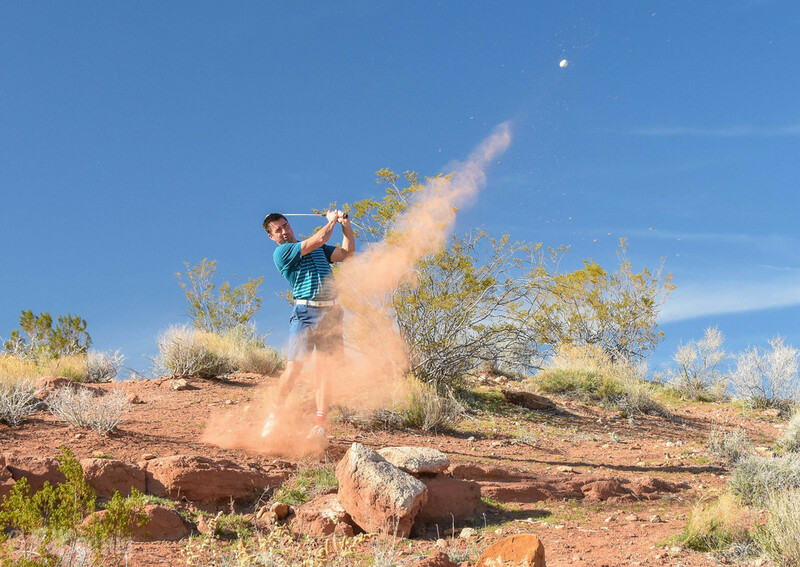 The golf gods decided to hand you a bad break, you managed to not make an 8, but something salvageable instead. 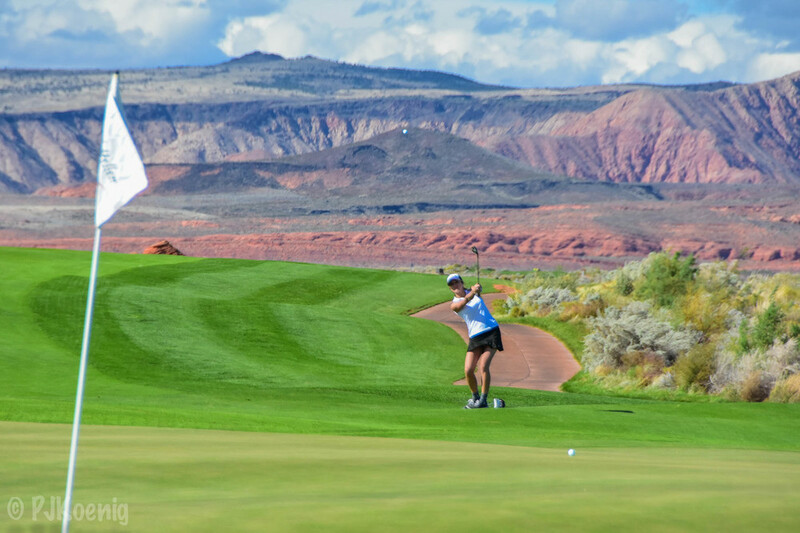 That 1st hole set the tone for the round at Coral Canyon as Ashlee Bradshaw and I had a riot of a good time. 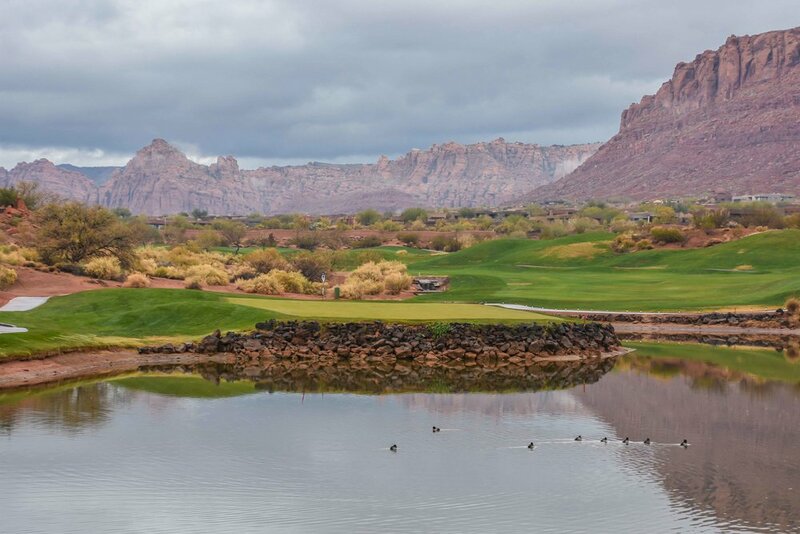 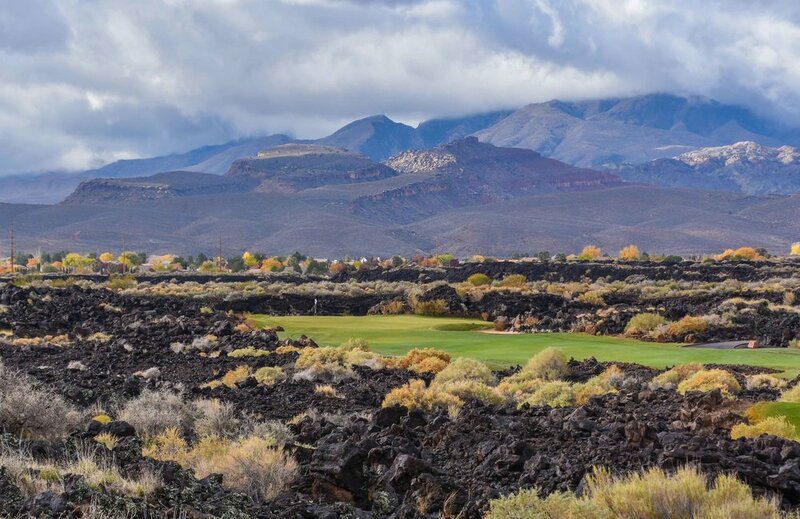 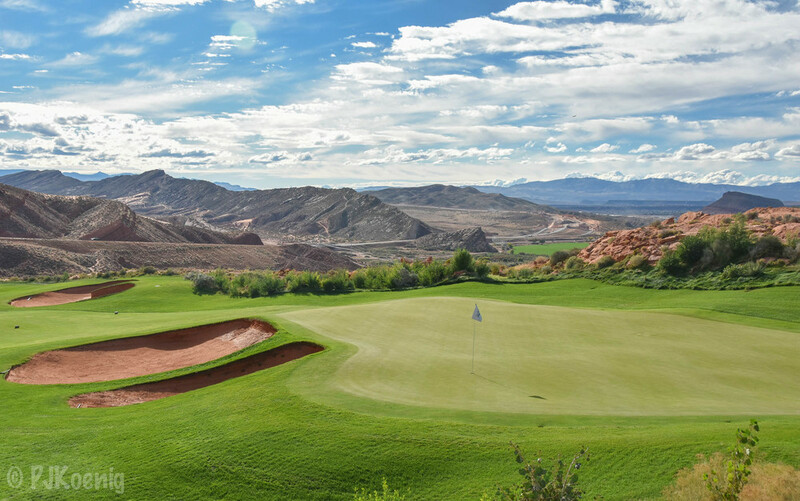 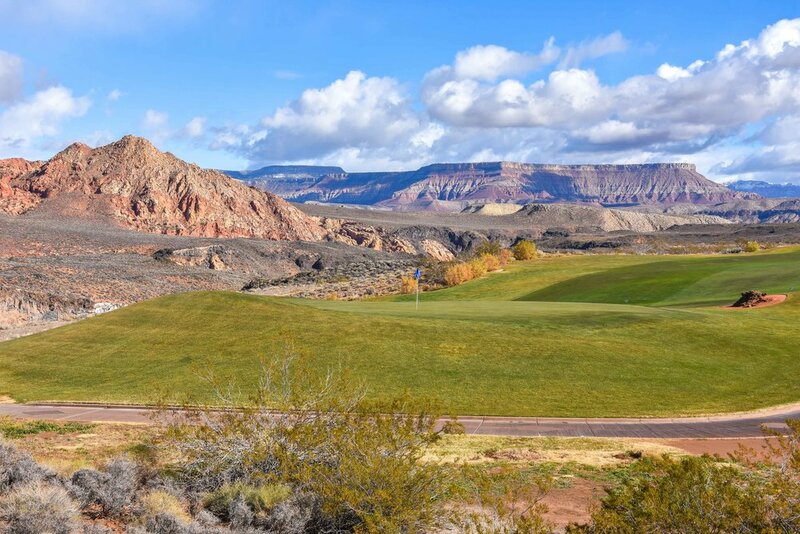 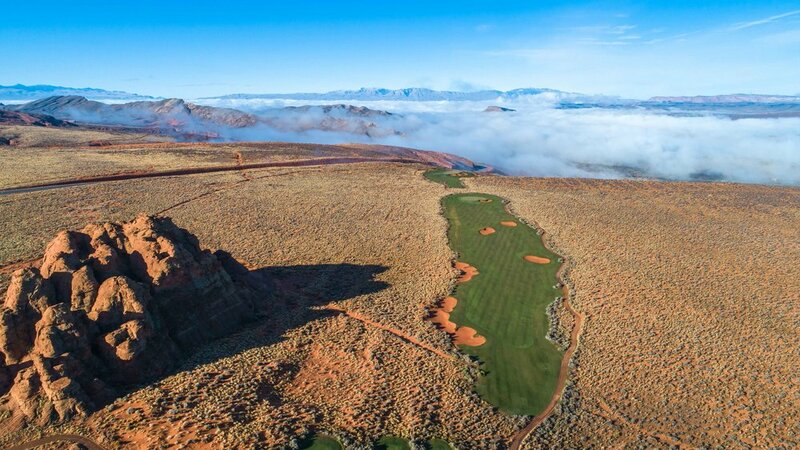 Coral Canyon is a 7,029 par 72 layout that was designed by Keith Foster. 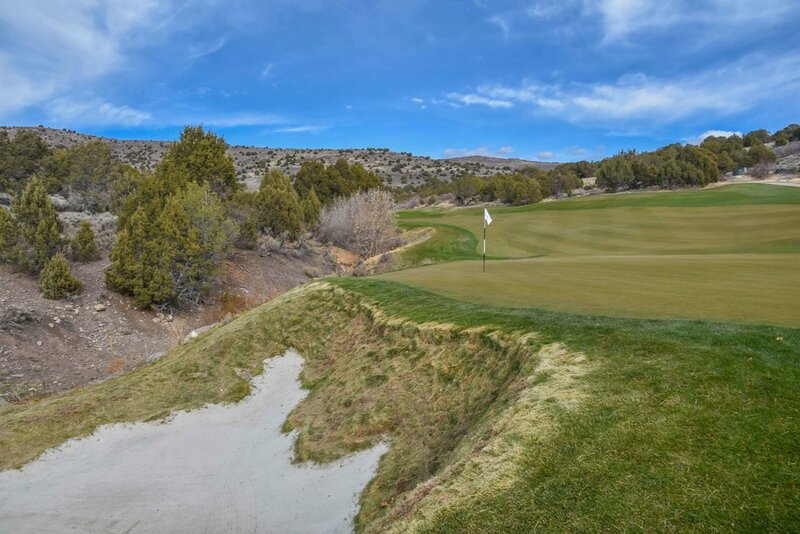 The course offers great views of the nearby mountains of Bryce Canyon and Zion National Park. 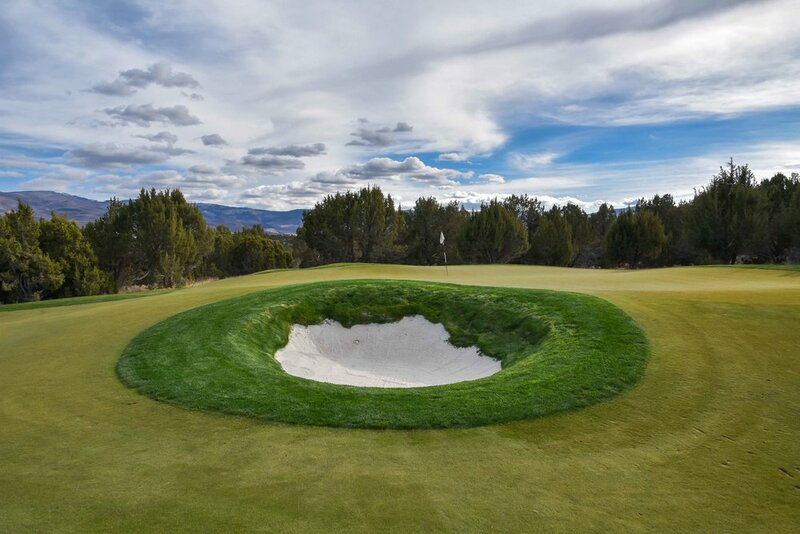 The short par 3 6th was probably the most memorable, other than that bunker on the 1st hole. 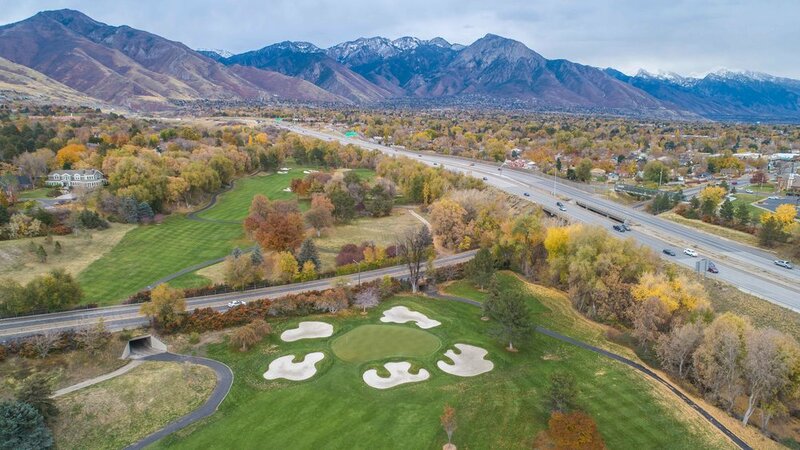 Old Mill Golf Course is a member of the Salt Lake County golf courses. 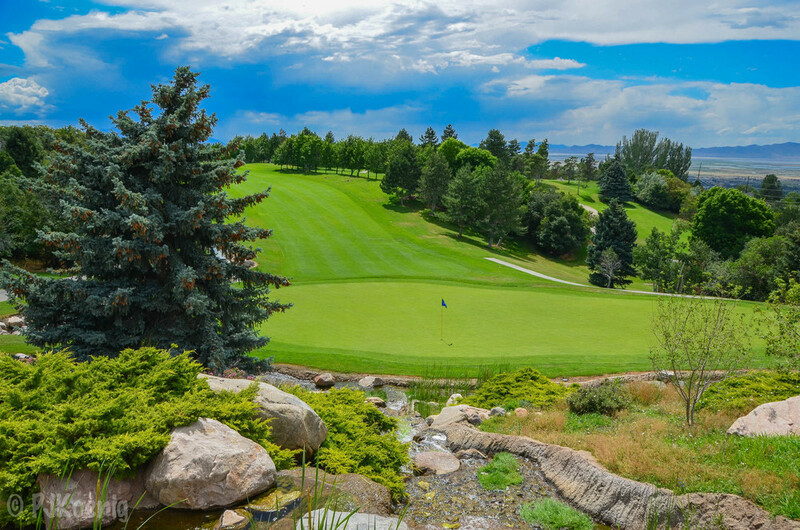 Measuring 6,769 yards from the back tees, the course is a terrific value and a lot of fun to play. 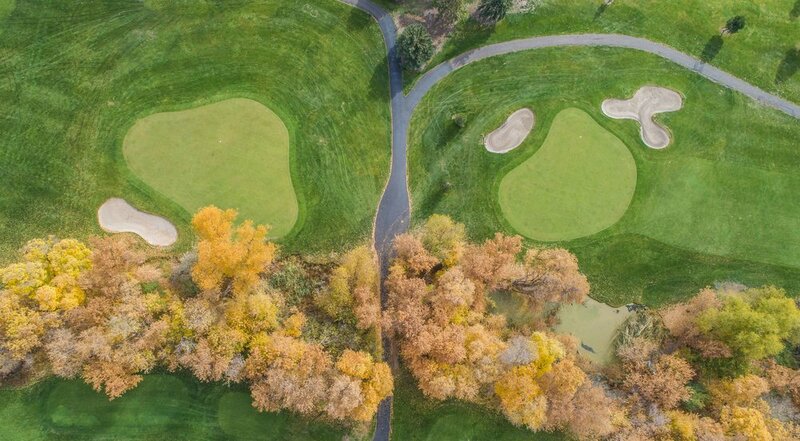 The 2 nines differ greatly. 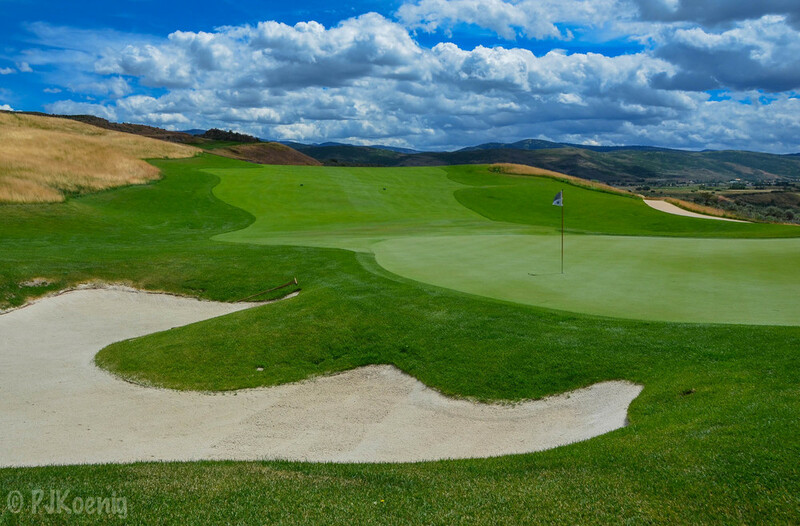 The front 9 is wide open and tightens up significantly on the back nine. 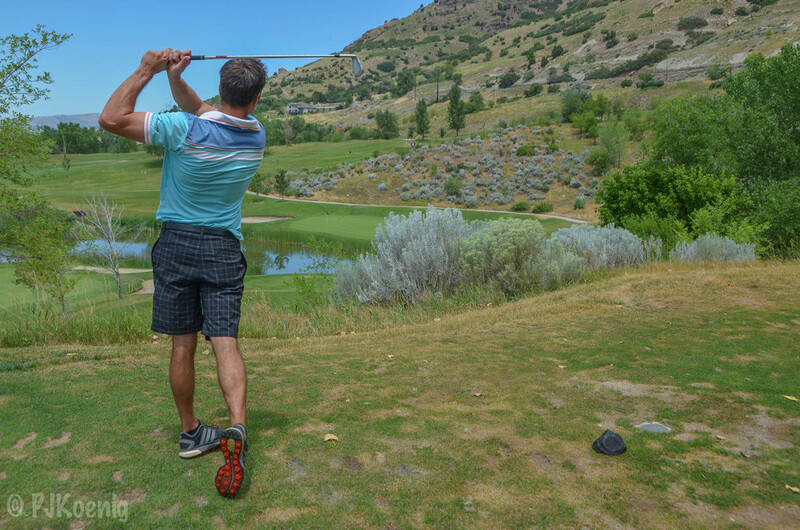 Our 3 some had a solid time and the ratio of laughs to grumbles was 15 to 1. 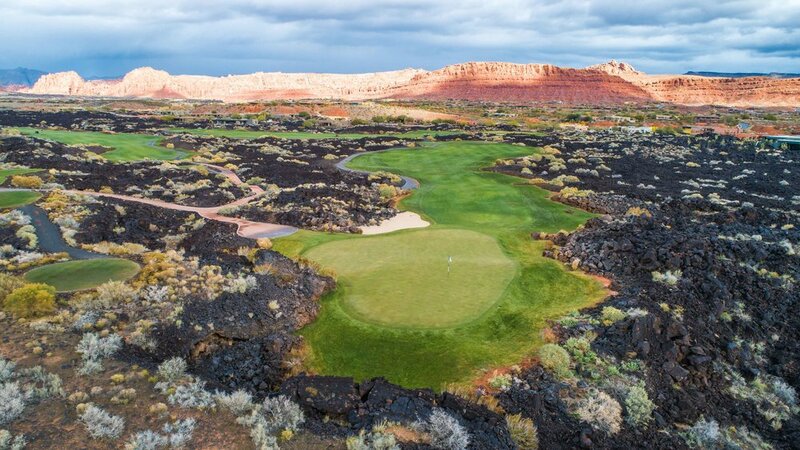 Years ago, I saw a picture of Sand Hollow and immediately made a note to play this course someday. 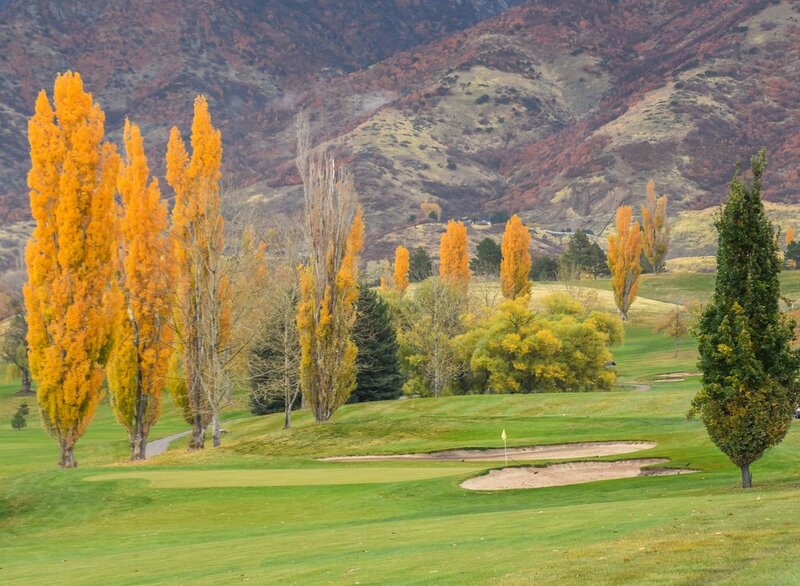 One sunny day in November about 5 years later, I would get my chance. 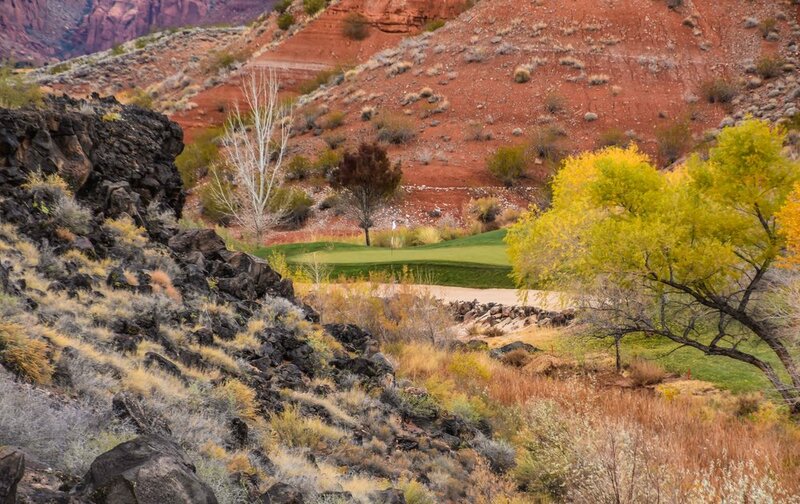 I made the 2 hour trip from Las Vegas and met up with a couple of friends, Ashlee and Thor, for a round amongst the rocks. 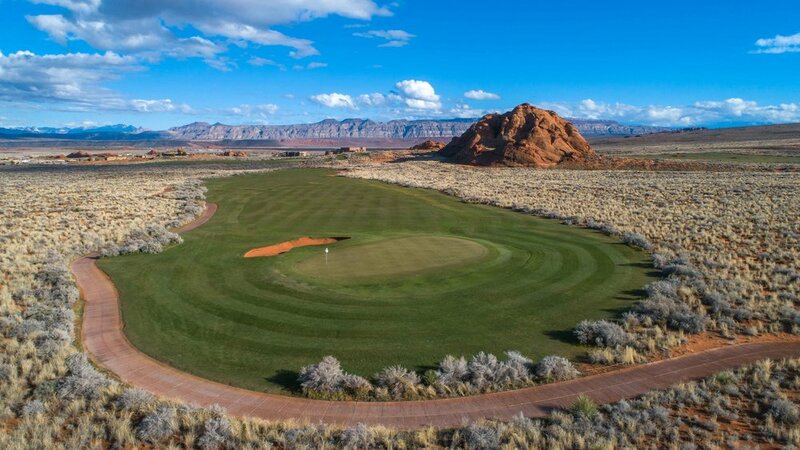 Driving up to the property, you immediately realize that Sand Hollow will be one of the more visually striking golf courses in Utah. 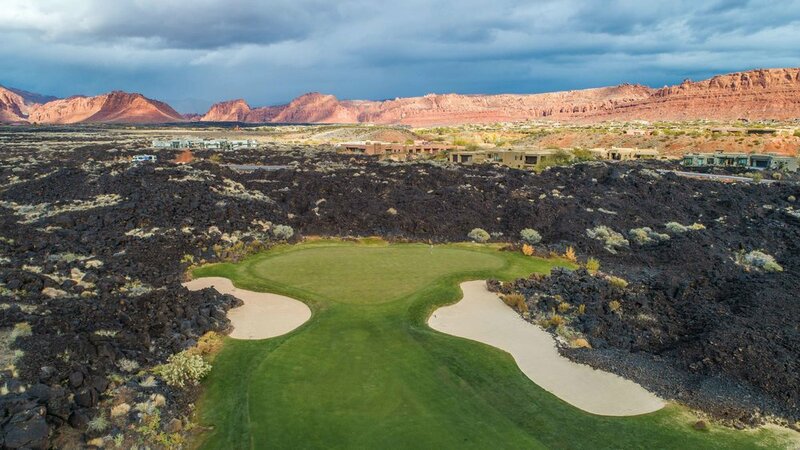 Offering a brilliant display of colors, Sand Hollow is set amongst Southern Utah's red rock outcroppings and a southwest desert landscape. 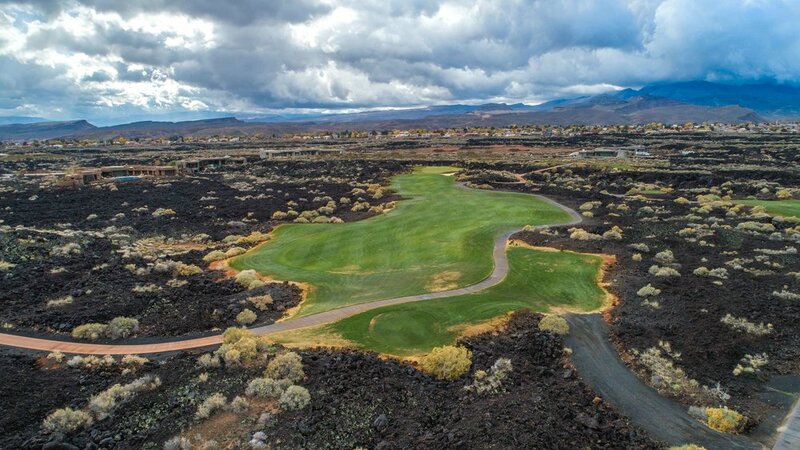 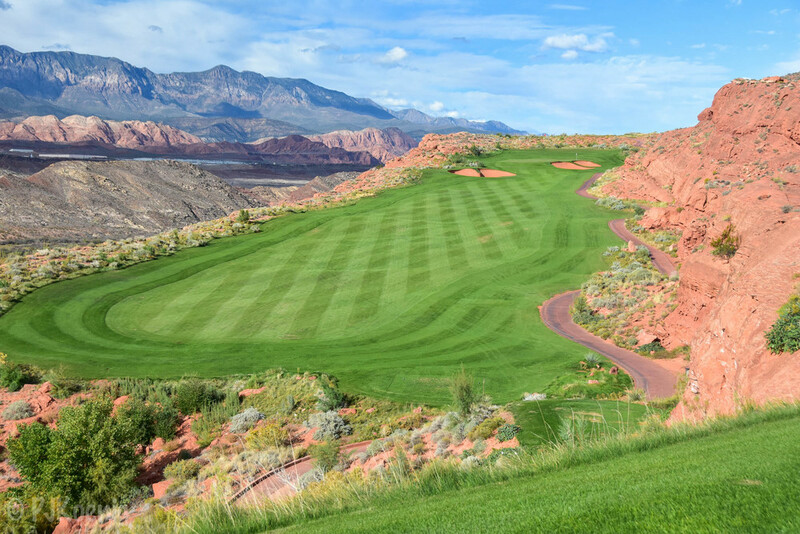 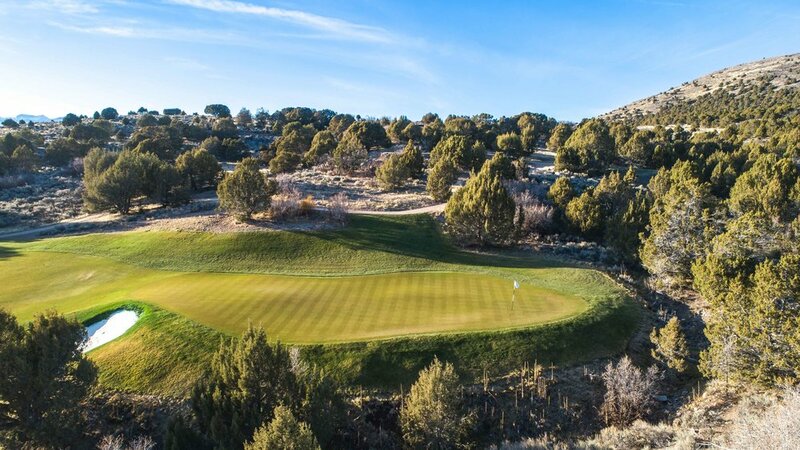 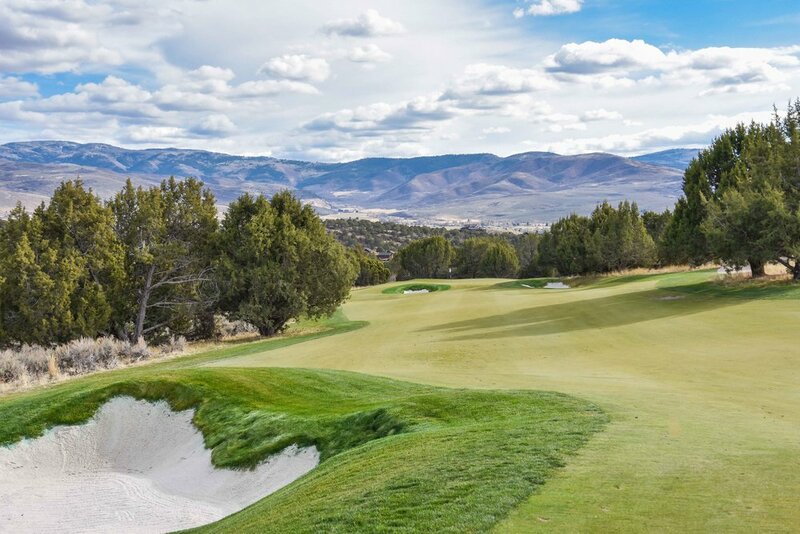 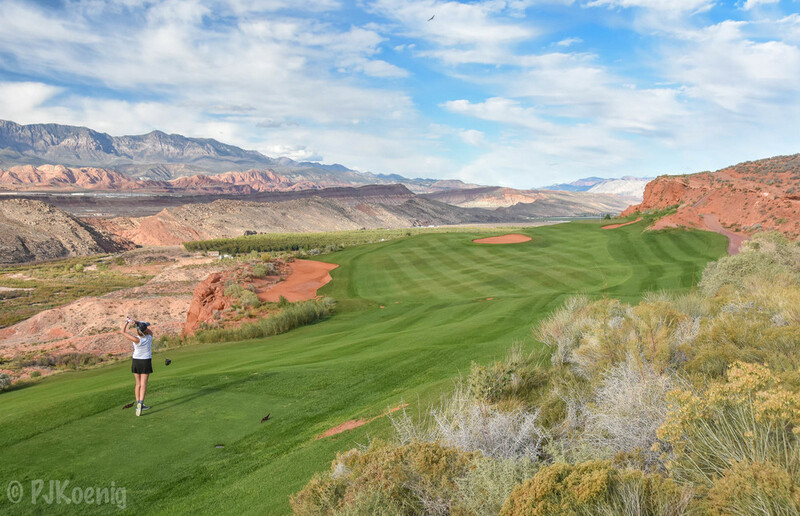 The course was designed by John Fought (Pumpkin Ridge, Langdon Farms, Crosswater) and is often regarded as Utah's best public course. 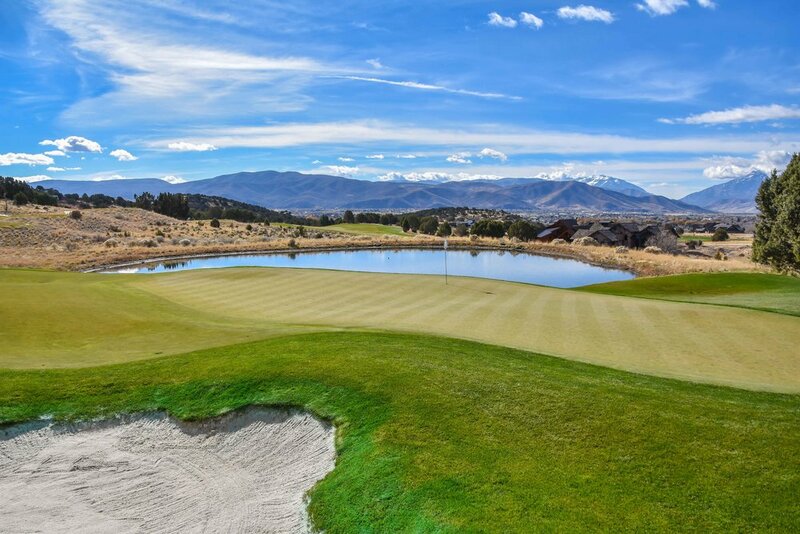 The front nine starts out with several solid golf holes and offers the golfer a chance to get on the score board with some early birdies. 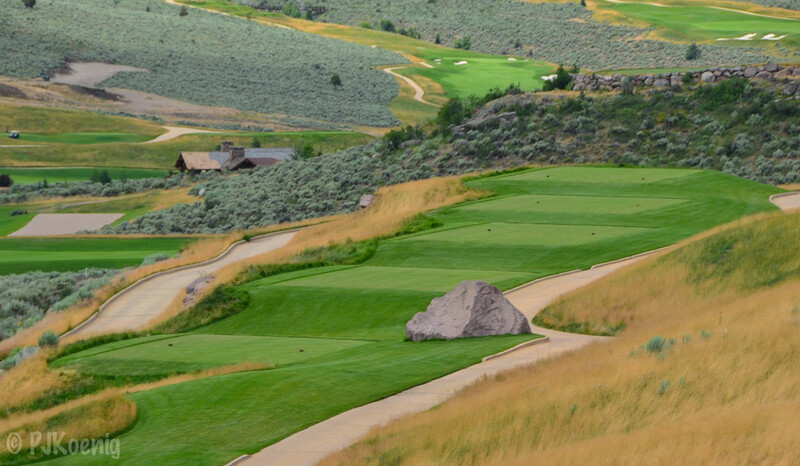 As enjoyable as the front nine is, the course really starts to take off on the back nine. 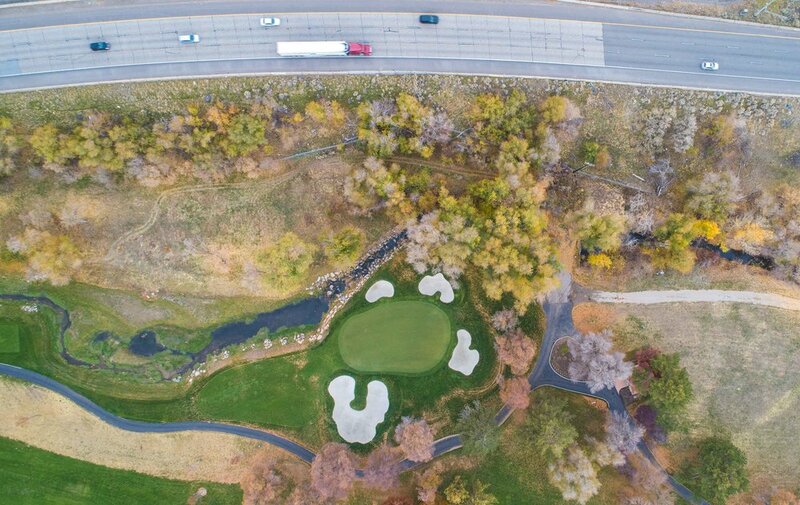 You should be able to tell in the pictures when the course picks up visually. 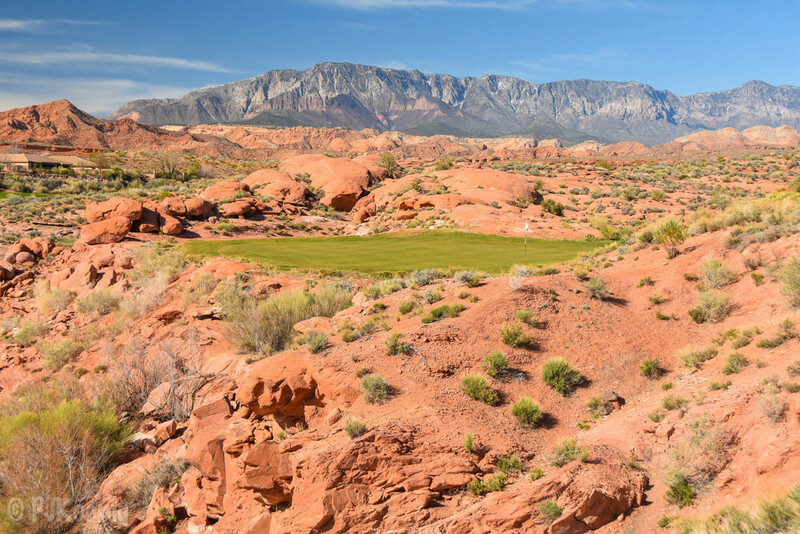 The stretch of holes from 11-14 winds around a ridge-line providing striking views and dramatic elevation changes amongst the rocky landscape. 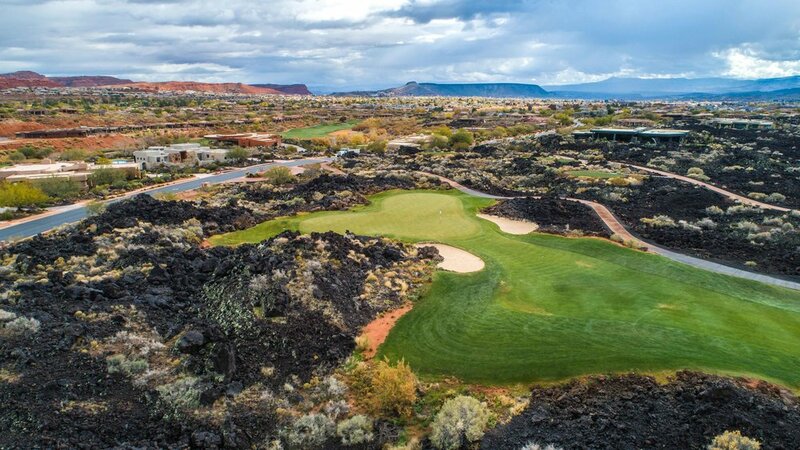 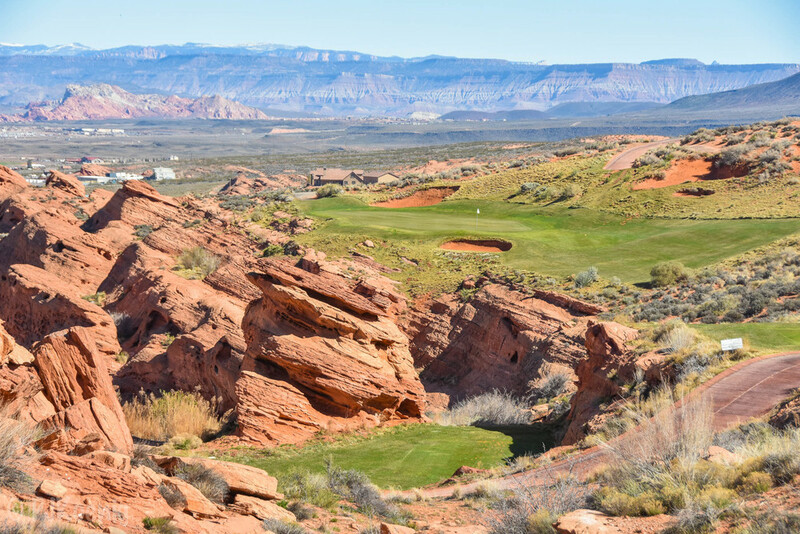 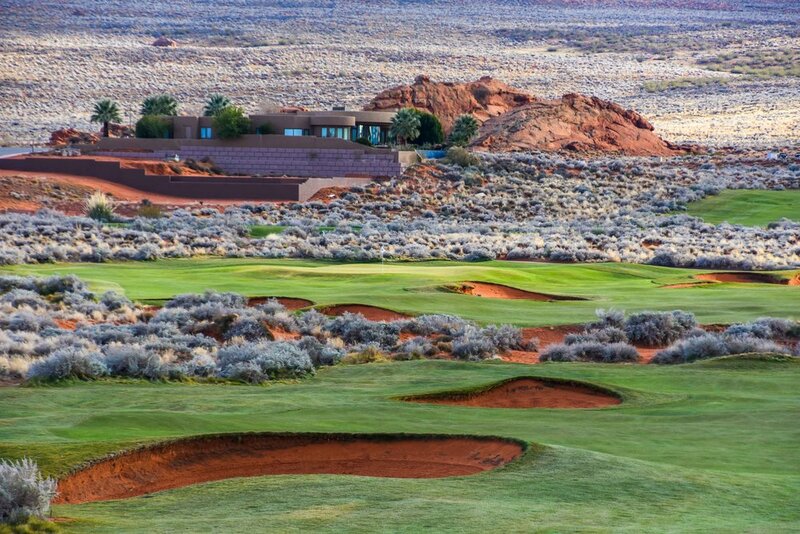 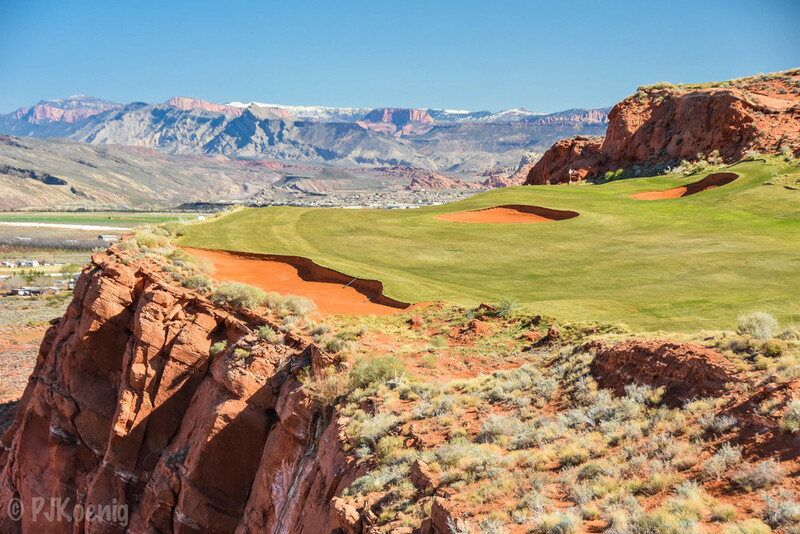 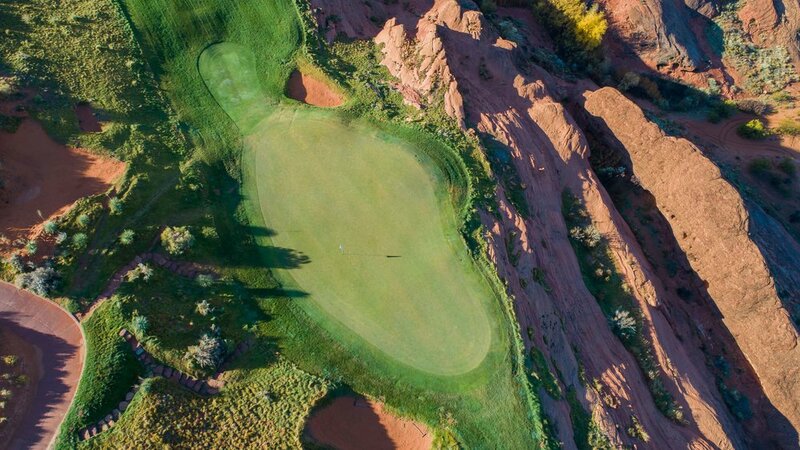 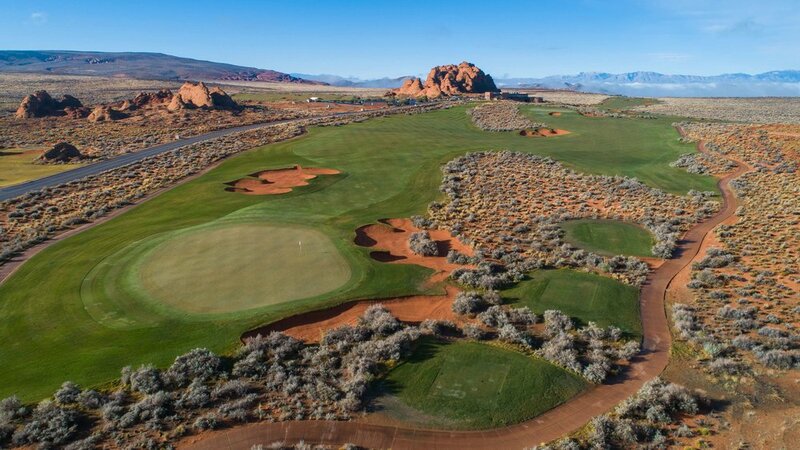 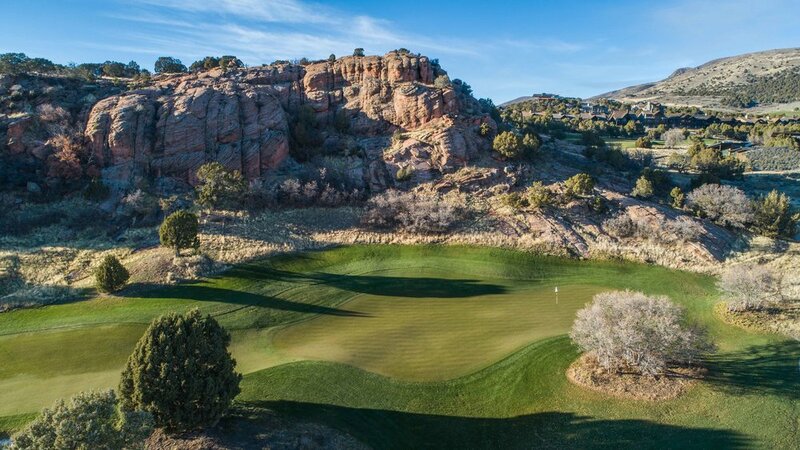 I particularly enjoyed the dramatic par 4 12th hole and the par 3 14th hole where you tee off between a giant pair of red rocks that jut out from the landscape. 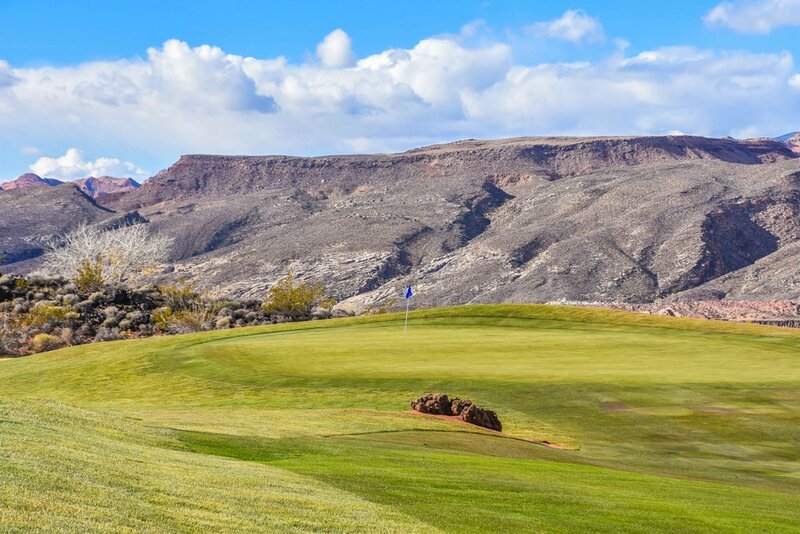 If you are ever in the Las Vegas area, the 2 hour drive is definitely worth it! 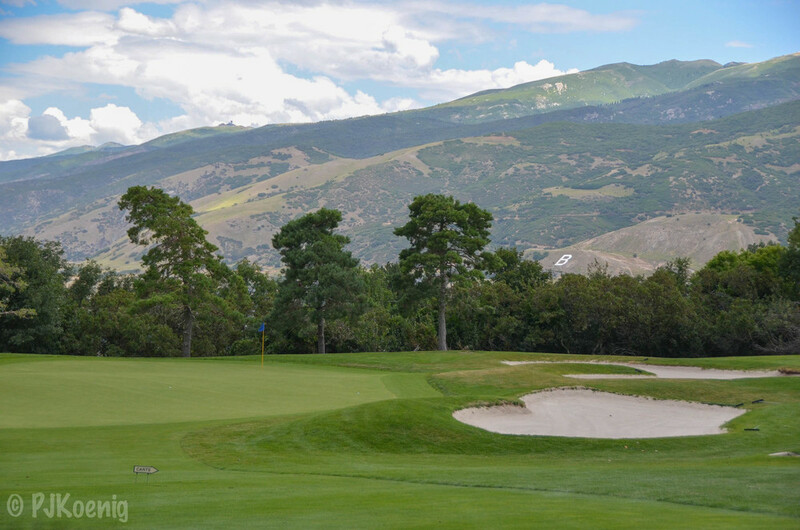 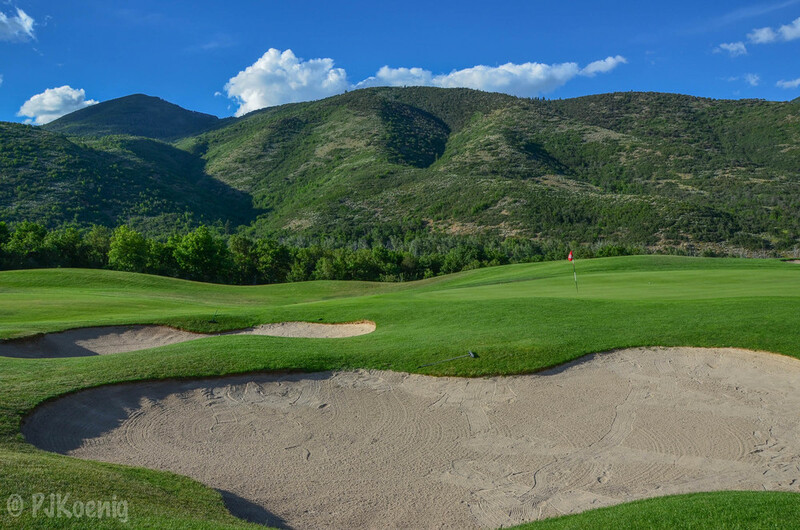 Located just outside of Park City, UT, lies one of the finest golf courses that I have had the privilege to play. 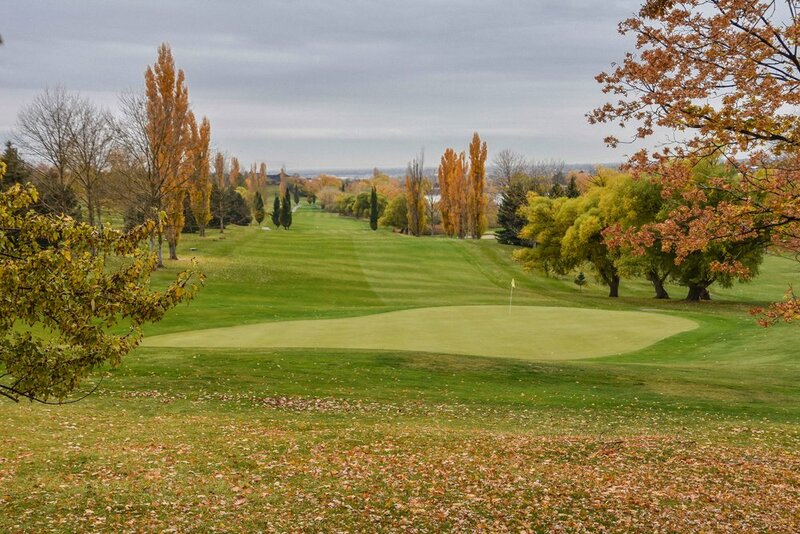 Without a doubt this was the most well manicured course that I had ever set foot on. 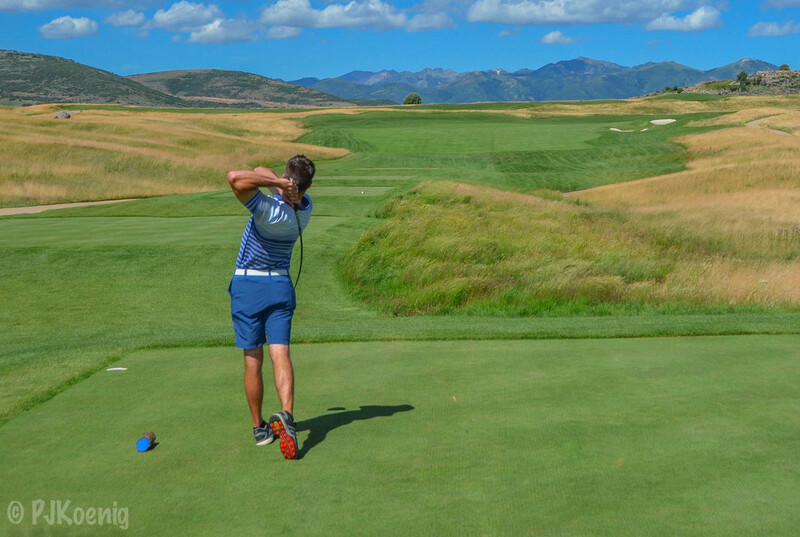 The tee boxes were blemish free, the fairways appeared to be divot free, and the greens were so pure and true that it could inspire a man to cry tears of joy. 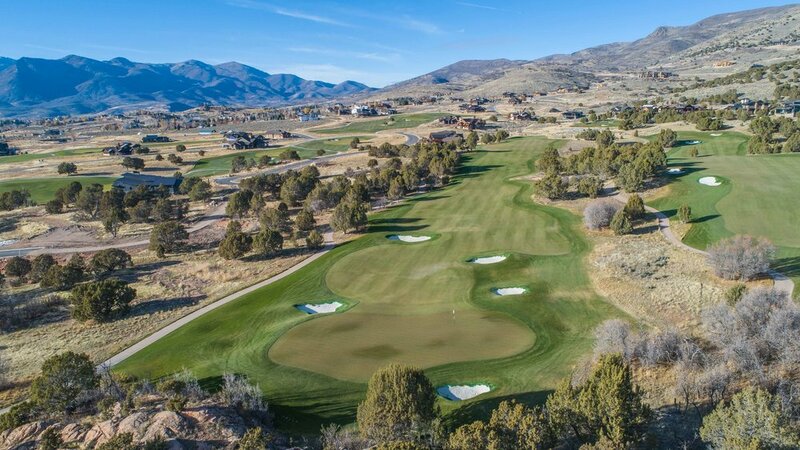 Victory Ranch plays 7,599 yards from the back tees, we went for the 7,153 version. 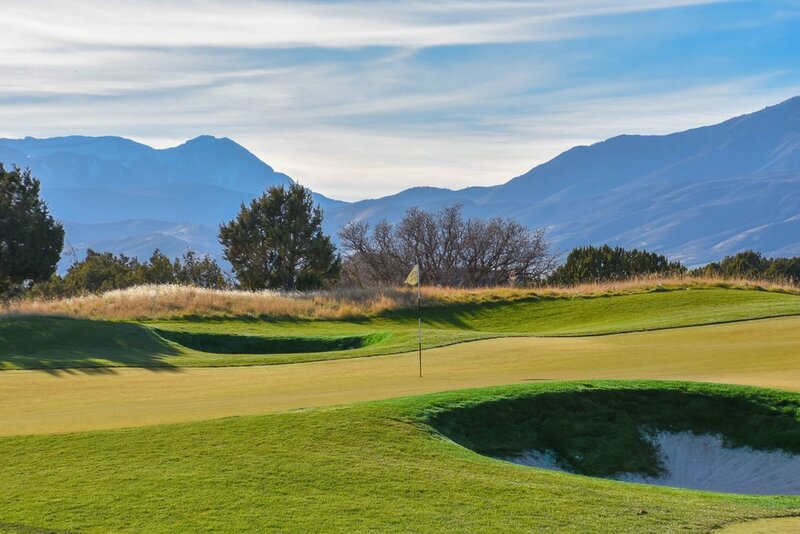 Designed by Rees Jones and opening in 2009, Victory Ranch is challenging, unique, and fair. 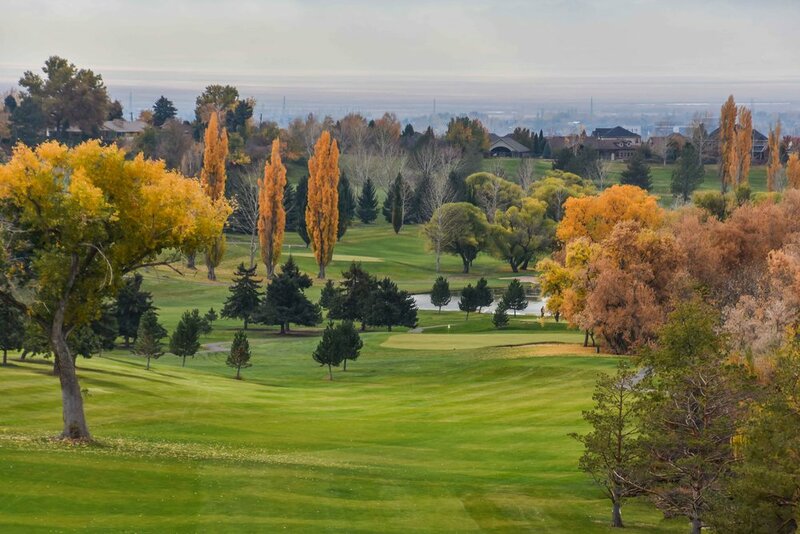 With about 400 feet in elevation changes, the course winds back and forth a mountain side offering spectacular views of the Jordanelle Reservoir. 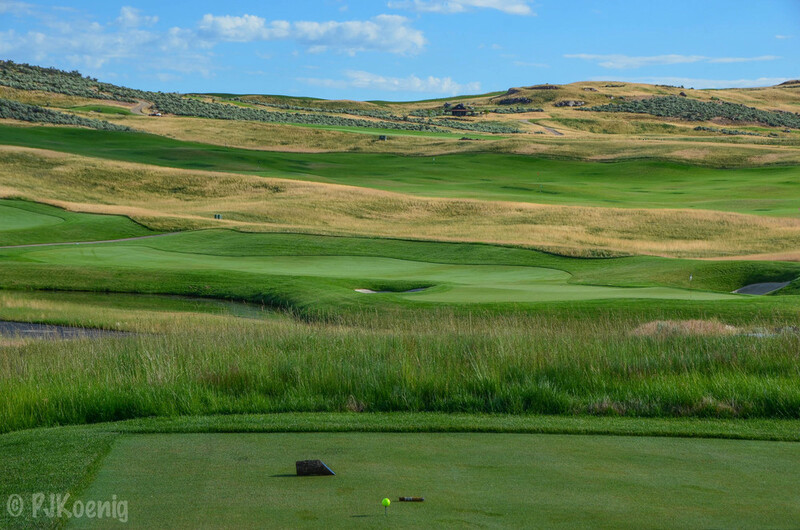 While every hole offered a variety of shot requirements and challenges, several holes stood out to me. 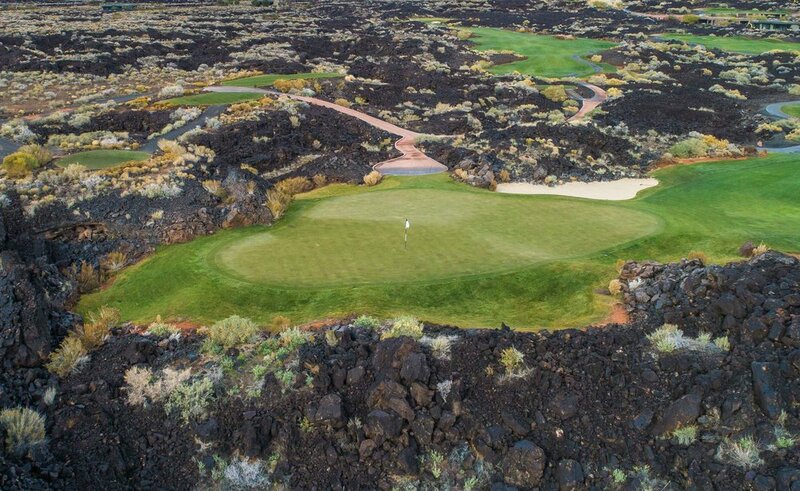 The 16th hole is easily one of the coolest par 5's that I have ever played. 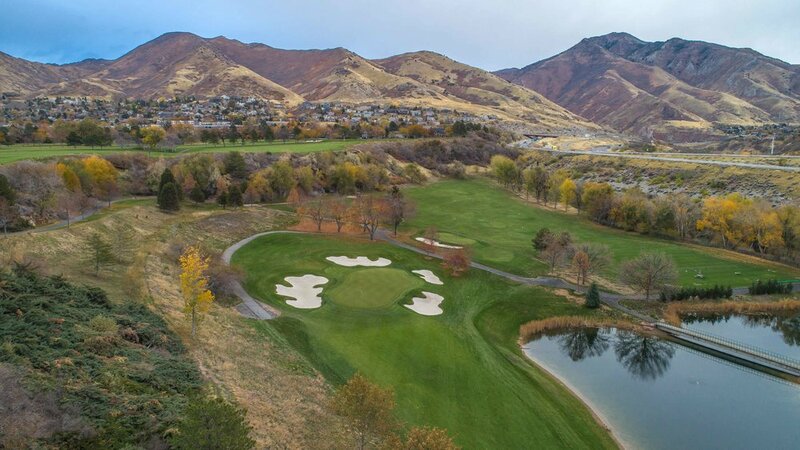 It plays along the mountain side at about 555 yards and allows the longer hitter a chance at hitting the unique green in 2. 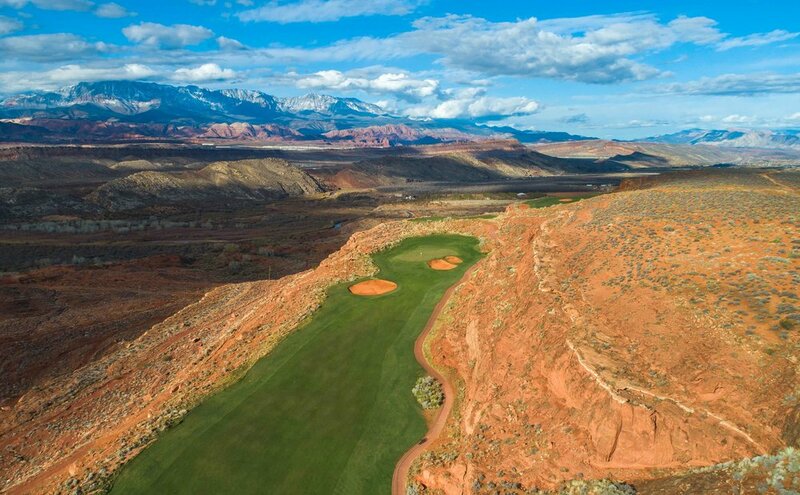 Secondly, the par 3 17th hole offers one of the best views in Utah, bring your camera. 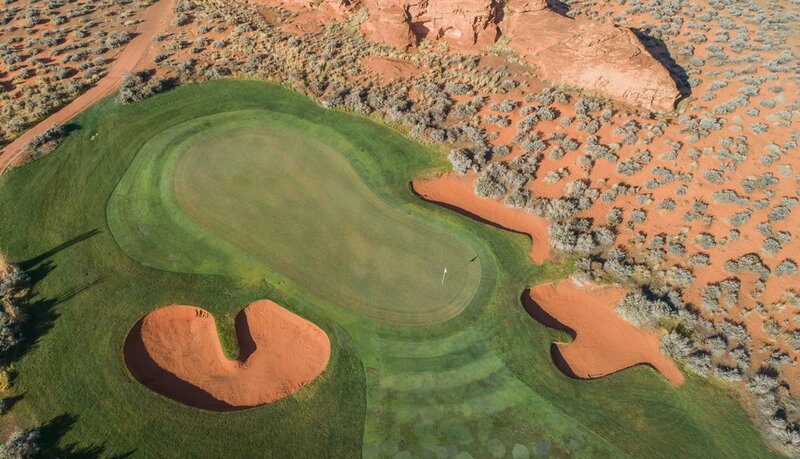 One of the more unique features is the large amount of tee boxes available on each hole. 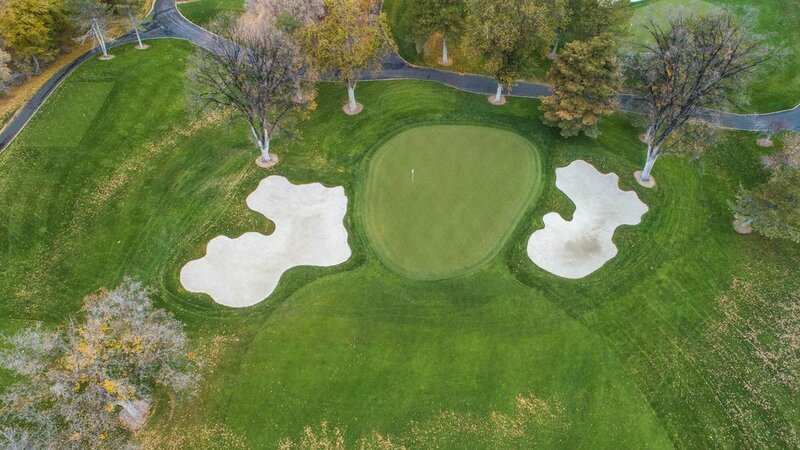 I counted 12 different tee boxes on 17. 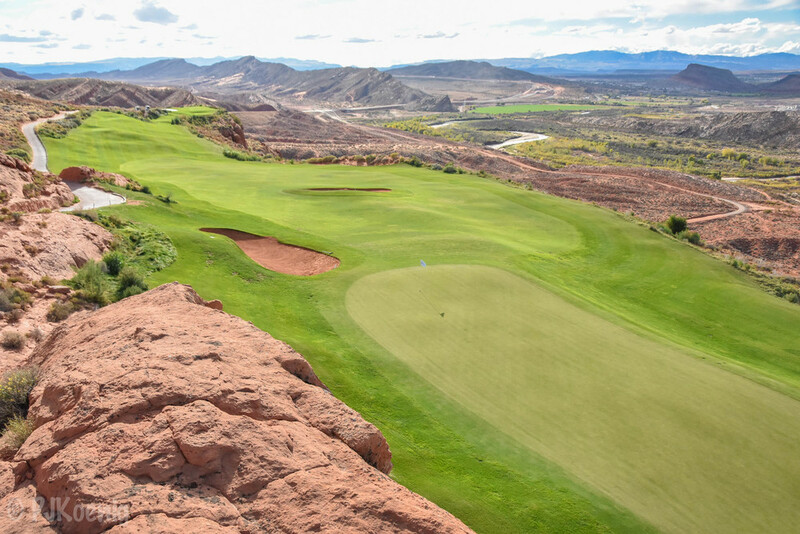 Our foursome enjoyed every hole on this golf course as much as any group of 4 golfers is capable of. 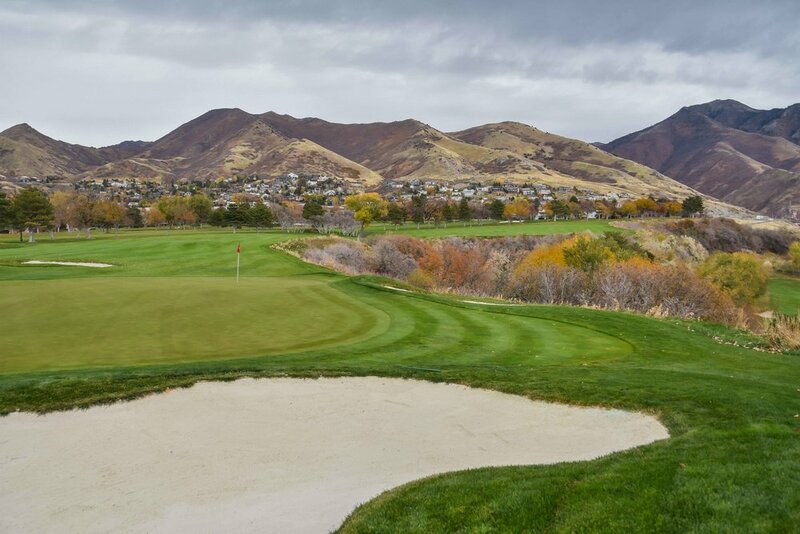 A big thanks to Greg Stephens, the Director of Golf, for having us out for a fantastic golfing experience. 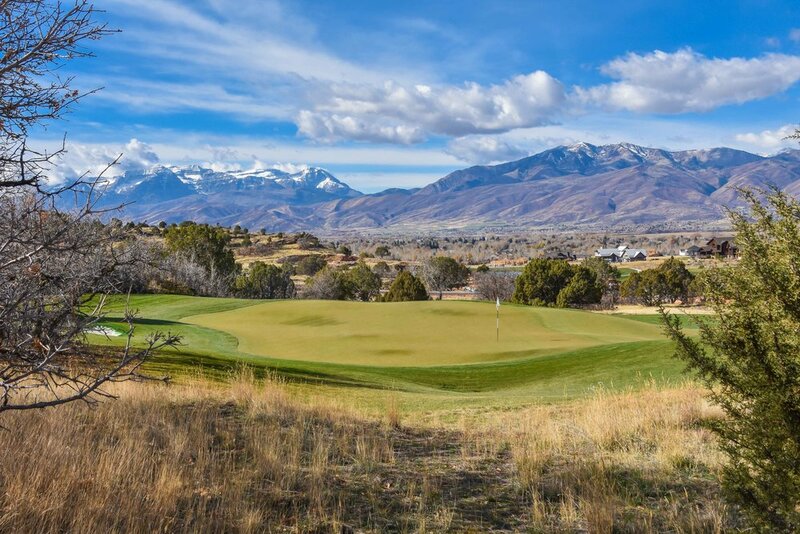 As a part of a Salt Lake City golf trip, we had two groups tee it up on a sunny afternoon. 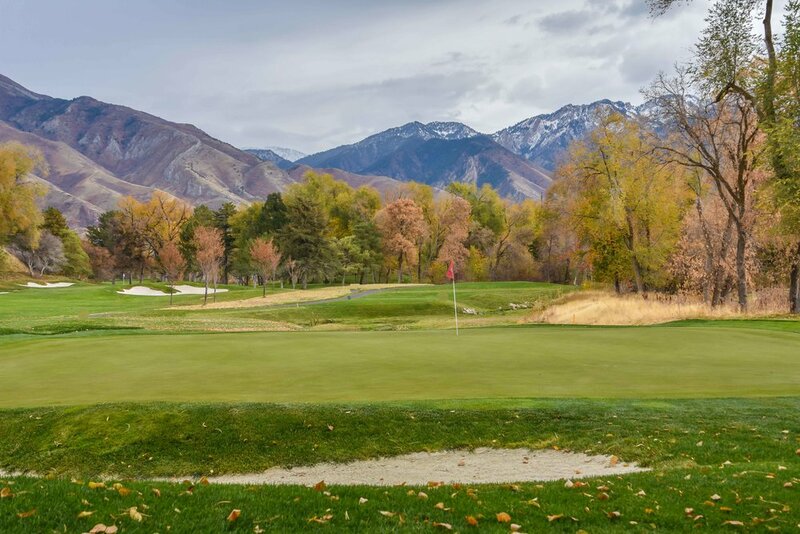 After a slow start on the front nine, things heated up significantly on the back nine. 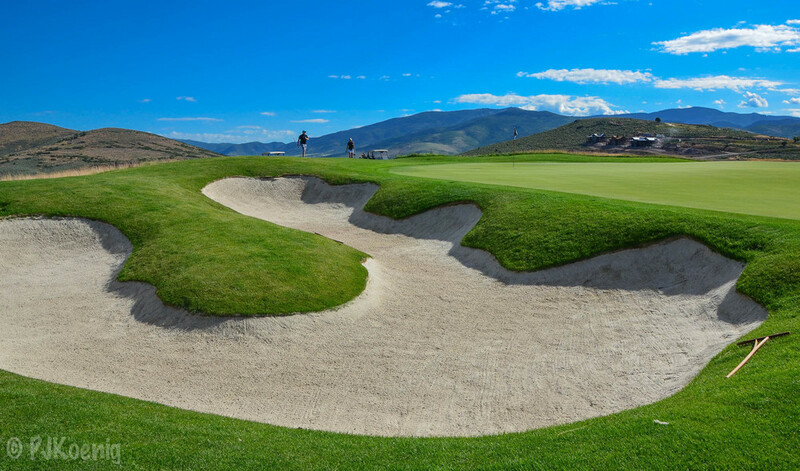 Read the full story in the Golf Blog. 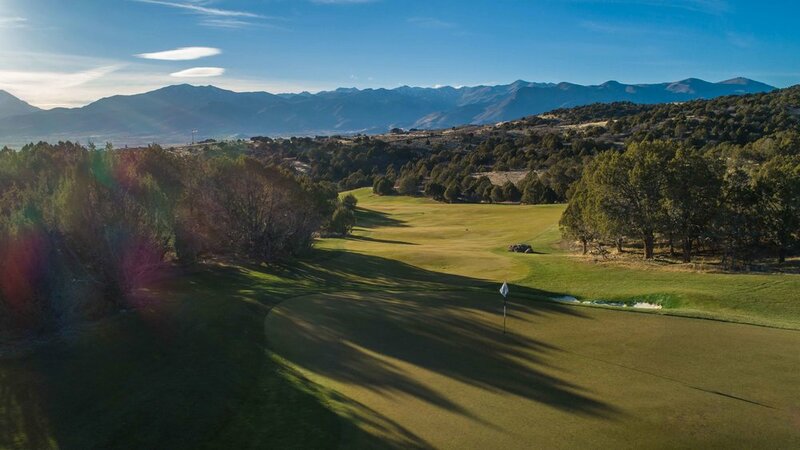 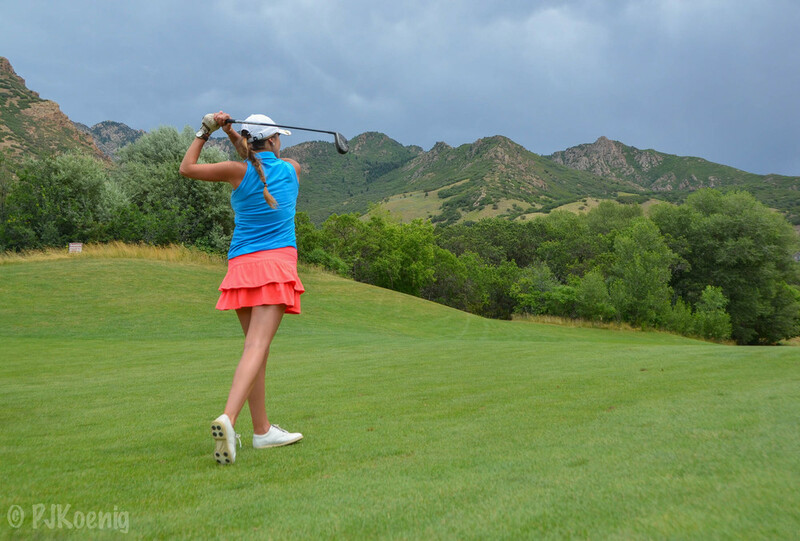 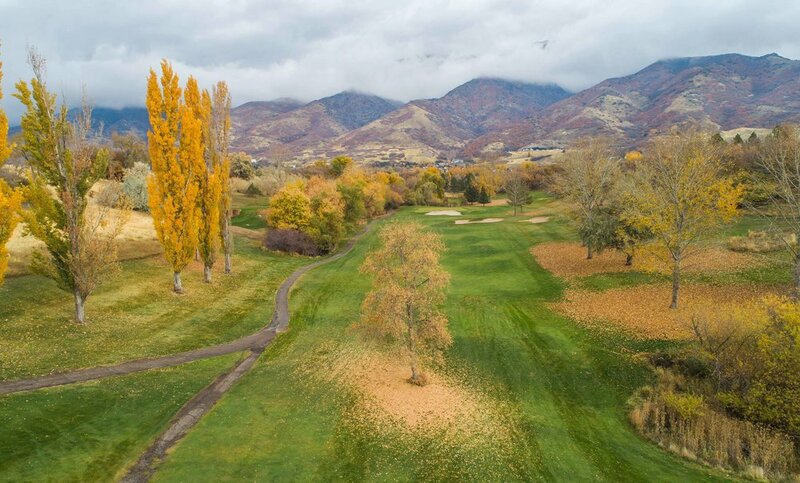 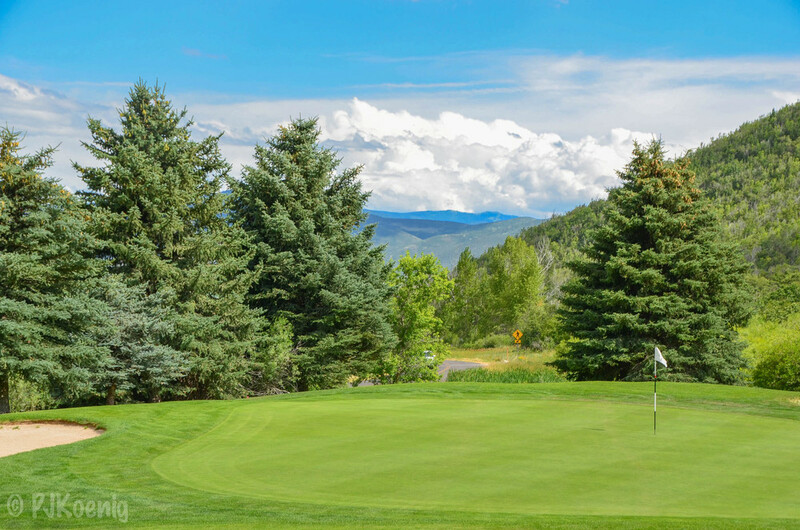 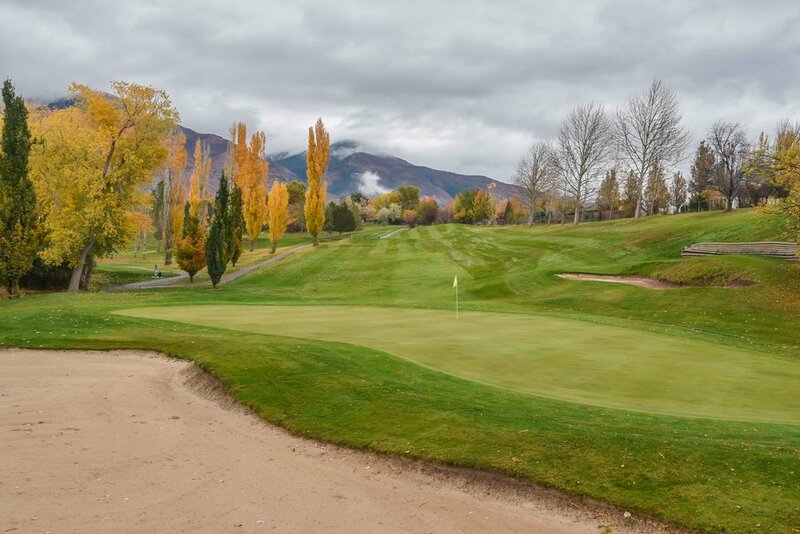 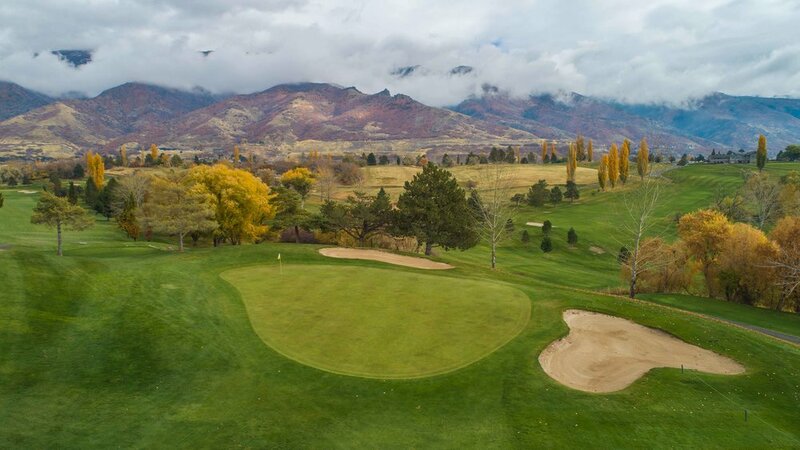 Wasatch offers two 18 hole layouts, the Lake Course and the Mountain course, which is the course we played The Mountain course is a fantastic bargain and has some great views, especially on the back nine. 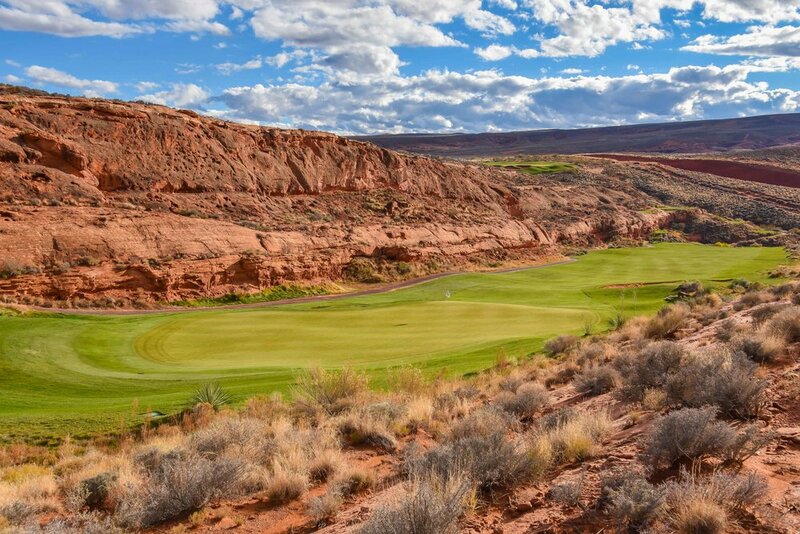 I would highly suggest this track as great place to play on any trip.